Google announced an update to their AdWords Trademark Policy in the United States late last week, which will allow advertisers to use corporate name and product trademarks in their ad copy, as long as the ads meet certain conditions found within the AdWords Trademark Policy itself . The trademark policy does not apply to ads targeted outside of the US, so the change is limited in scope and will not come into effect until June 15th. This is an important first step in relaxing the existing trademark policy issues with Google Adwords. While advertisers can use the trademarks without disapproval from Google, they are still open to action from the actual trademark owner(s). 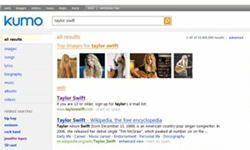 Google will still undertake a limited investigation should the trademark owner complain about its use. 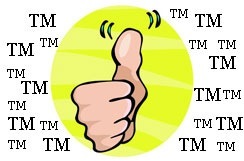 What Does A Relaxed Trademark Policy Mean To You? Relaxing the policy is good news for online retailers who, while selling products on the web site or in a bricks-and-mortar store, could not advertise the product by name in Google Adwords. Think of the change along the lines of paper catalogues or flyers the advertiser can now use the product trademark in ads because they are resellers of the product or service at their physical or online store. Can use the terms to advertise components, replacement parts, or compatible products, like iPod earphones, Audi exhaust pipes, or Dell computer monitors. Can use the terms for sites where the "primary purpose" is to provide details about a product or service, such as a third-party product review site. The new policy also makes it clear that AdWords advertisers can not use the same trademarks to promote competitor products or to mislead visitors searching for one brand by redirecting them to a competitor's product page. As Google stated in their blog post, it allows them to display more relevant ads for searches while avoiding a deluge of generic ads that don't address the search entered by the visitor. Google's aim has always been to serve up relevant results in both the paid and organic sections of their SERPs. I love that Google has relaxed this policy, and see no reason why product owners would take issue with their trademark being used in this manner. It seems to be a happy medium reached that benefits both the AdWords advertisers and the product manufacturer or service provider. Expanding this policy worldwide may take time, as laws governing their usage will vary from country to country. But this is an important first step and gives us less red tape to cut through now. Let's hope trademark owners see the sense in these changes and only seek to punish those truly taking advantage of their property, not those working to benefit it! It isn’t just certain countries that have restrictive policies, some companies are very restrictive as to how their resellers, affiliates and representatives can advertise their products. Some not at all, and I’m speaking specifically about Network Marketing companies. The hoops you have to jump through are incredible and downright debilitating.